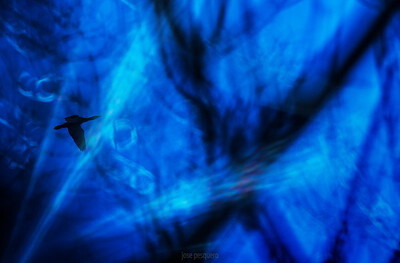 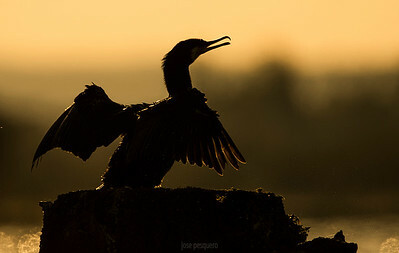 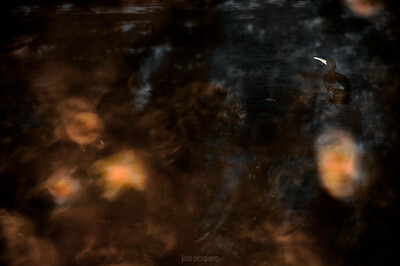 The bird family Phalacrocoracidae is represented by some 40 species of cormorants and shags. 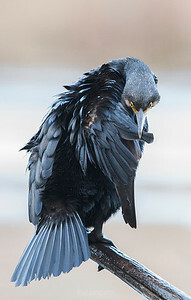 There is no consistent distinction between cormorants and shags. 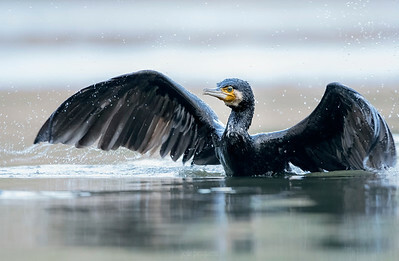 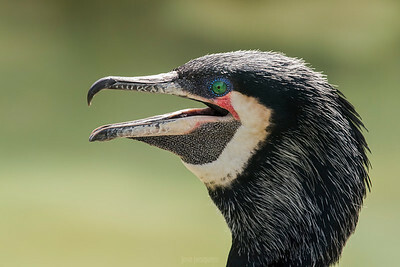 The names "cormorant" and "shag" were originally the common names of the two species of the family found in Great Britain, Phalacrocorax carbo (now referred to by ornithologists as the Great Cormorant) and P. aristotelis (the European Shag). 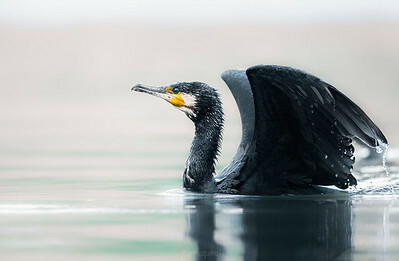 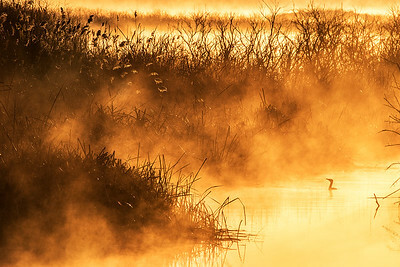 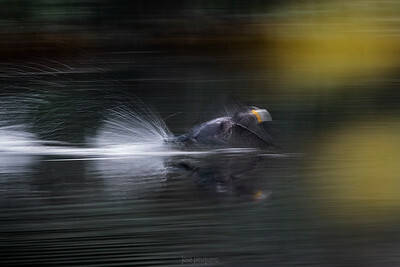 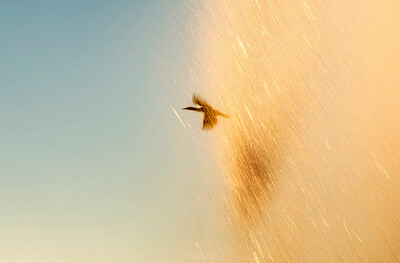 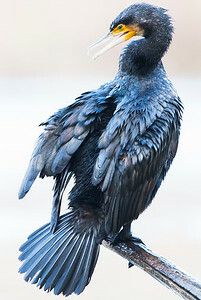 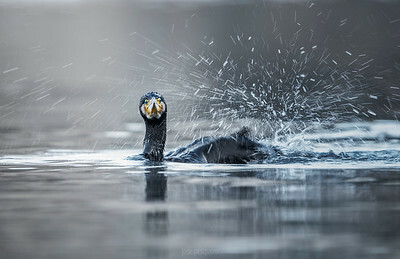 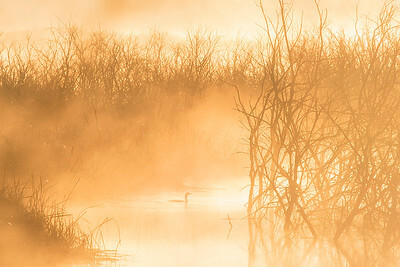 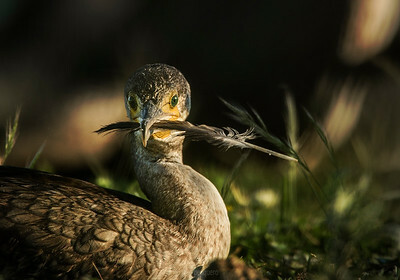 "Shag" refers to the bird's crest, which the British forms of the Great Cormorant lack. 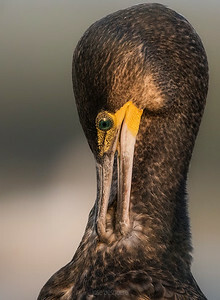 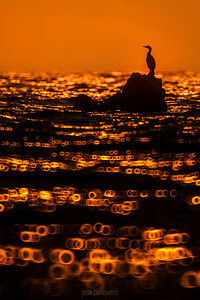 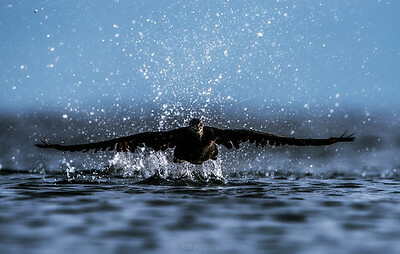 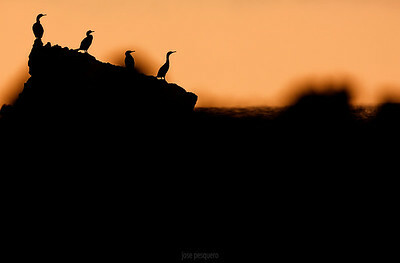 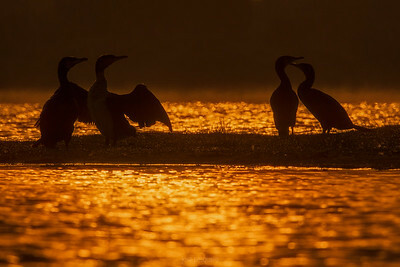 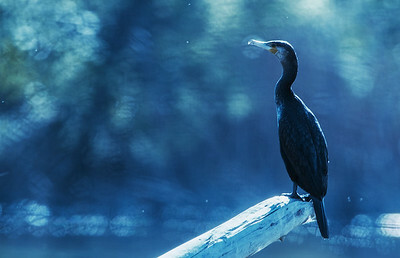 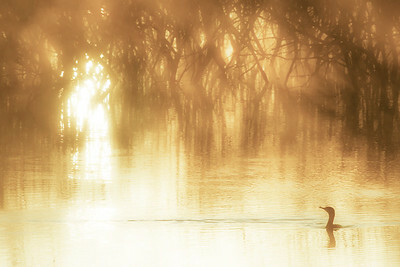 Cormorants and shags are medium-to-large seabirds. 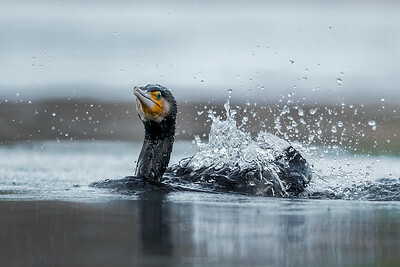 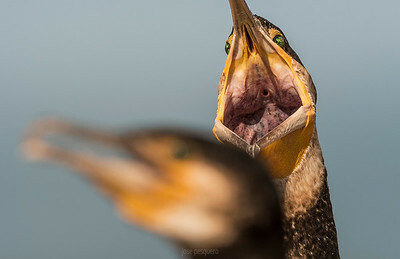 They range in size from the Pygmy Cormorant (Phalacrocorax pygmaeus), at as little as 45 cm (18 in) and 340 g (12 oz), to the Flightless Cormorant (Phalacrocorax harrisi), at a maximum size 100 cm (40 in) and 5 kg (11 lb).